The United States 'stood by' its statement where they mentioned that Washington, during the conversation between US Secretary of State Michael R. Pompeo and Pakistan Prime Minister Imran Khan, sought 'decisive action' against terrorists operating from Pakistan. This comes after spokesperson of Pakistan's Ministry of Foreign Affairs, Dr. Mohammad Faisal, dismissed the statement issued by the US saying that there was no mention about terrorists operating in Pakistan during Pompeo and Khan's conversation. "Pakistan takes exception to the factually incorrect statement issued by US State Dept on today's phone call between PM Khan and Sec Pompeo. There was no mention at all in the conversation about terrorists operating in Pakistan. This should be immediately corrected," Faisal tweeted on Thursday. 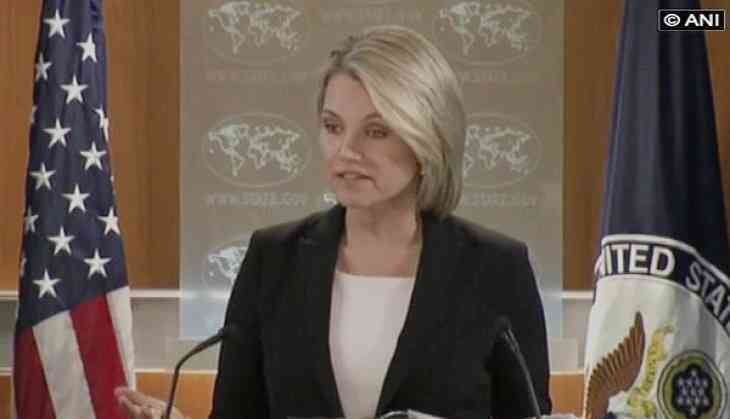 However, US State Department spokesperson, Heather Nauert, who issued the statement, reiterated that Pompeo had raised Islamabad's importance of taking decisive action against terrorist organisations operating in Pakistan, and added that Washington stands by its readout. "Secretary Pompeo spoke today with Pakistan Prime Minister Imran Khan and wished him success. Secretary Pompeo spoke with Imran Khan and expressed his willingness to work with the new government towards a productive bilateral relationship. They had a good call," she said at a press briefing.